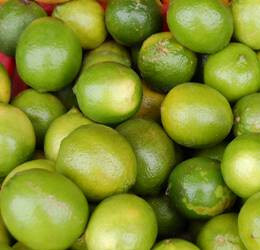 The nutritional benefits of limes do not differ very much from those of lemons. They are both excellent sources of vitamin C, B6, potassium, folic acid, flavonoids and the outstanding phytochemical, limonene. Limes add flavor and nutrition to salsa and guacamole – in addition it helps the avocado from turning brown.